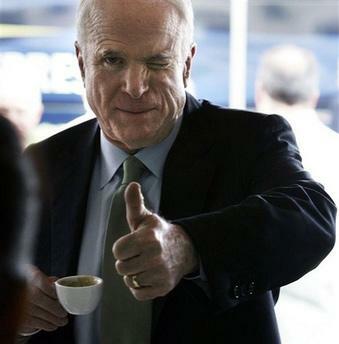 Republican presidential candidate John McCain insisted yesterday he was making a comeback. Various polls of all 50 states show Obama, 47, near or above the 270 electoral votes needed for victory on November 4. And a Newsweek survey of likely voters gave the Democrat 53 per cent to McCain’s 41 per cent. The comments by Mr. McCain, the Republican nominee for president, threw another log onto a fire already burning in the conservative blogosphere and on talk radio, where McCain supporters contend that the Democratic nominee, Senator Barack Obama, is trying to “steal” the election through groups like Acorn (an accusation the Obama campaign calls outlandish). The disclosure on Thursday that 30 percent of the 1.3 million voter registrations gathered by Acorn were faulty turned the issue into a roaring bonfire. Among the problems were registration forms filled out by “Mickey Mouse” and the starting lineup of the Dallas Cowboys. Some voting rights advocates said they were surprised that the level of irregularities was so high, but they also said these irregularities, reported by Acorn itself, did not necessarily translate to fraud at the polls. At the same time, Democrats are concerned that Republicans’ focus on the “purity” of voter registration lists could add to confusion on Election Day and suppress the vote.